As children, we might have all fallen in love with the meerkat Timon from The Lion King , but as it turns out, meerkats aren't all "Hakuna Matata!" in real life. In fact, they're down right scary; meerkats have been known to banish their children, prevent their daughters from mating, and even kill their own grandchildren. Yeah, not exactly material for a Disney movie. However, scientists think they might have figured out the reason for all this terrifying behavior. According to researchers at the University of Edinburgh, meerkat communities thrive best when only the dominant mating pair are allowed to breed. Meerkats in the wild live in colonies composed of two alpha meerkats and lots of helper meerkats. The alpha male and female have the children, and the helpers are, well, helpers. 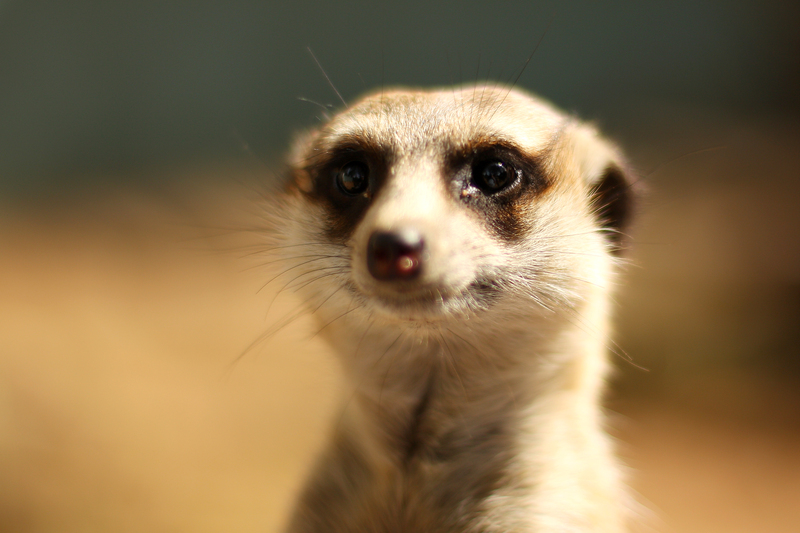 By only having one pair reproduce, the meerkats can ensure there will be enough resources for the group as a whole. To test their theory, researchers gave female helper meerkats in a particular colonies injections that would keep them from having any pups for at least six months. During that time, the dominant female meerkat was less aggressive towards the helper females, gained more weight during pregnancy, and had healthier pups. The researchers say this shows the benefits of suppressing non-dominant breeding and "[helps] explain the evolution of singular breeding in vertebrate societies." This kind of population control does make a lot of sense, but since meerkats obviously don't have access to birth control and aren't normally getting special shots from researchers, the deceptively adorable little critters do some pretty unsavory things to achieve this goal. Alpha female meerkats will use violence to prevent their other females from mating, including their own daughters. Helper females who do reproduce are often banished from the colony, and alpha females will even commit infanticide against any illicit offspring born in the colony, even if those offspring are their own grandchildren. Like I said, Timon never mentioned any of that. I suppose there might be some sort of lesson in all of this about overpopulation or how grateful we should all be that birth control exists — and that we can still access it, at least for now — but really, I'm going to say that the real take-home message is that meerkats are evil and terrifying and I will never watch The Lion King the same way again. Shudder.